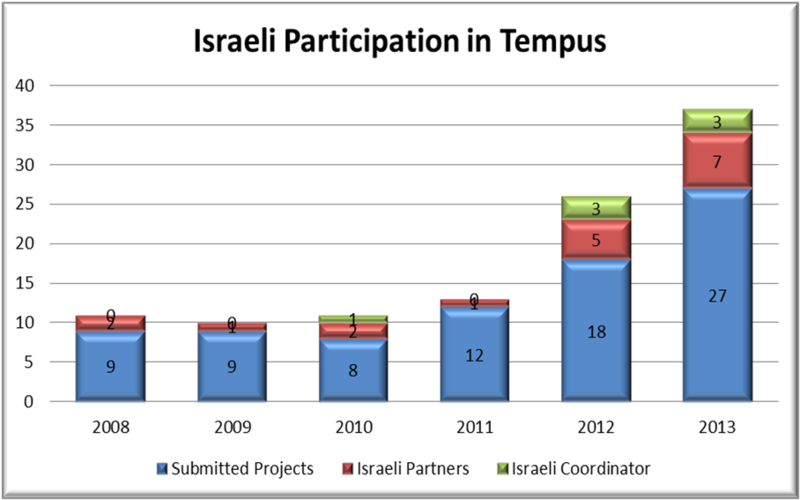 Since Israel joined the Tempus programme in 2008, 18 projects involving 32 Israeli institutions were selected for funding; 7 of which were coordinated by Israeli institutions. These projects have succeeded in engendering curriculum reform, developing international relations and advancing university-business cooperation. Overall, a total of 10.33 million Euros was provided to Israeli institutions in the Tempus programme. 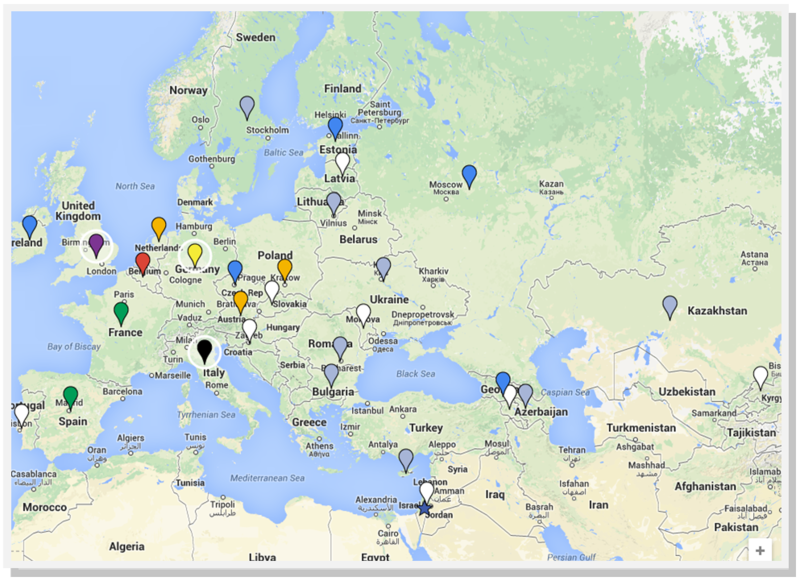 The above map illustrates the number of projects in which each country from the EU and the Tempus partner countries collaborated with Israeli institutions. In total, Israel collaborated with 20 of the 28 EU countries in the 18 projects in which Israeli institutions took part. In particular, there was strong collaboration with Germany (12 projects), Italy (10) and the United Kingdom (9). From the Tempus Partner Countries, Israeli institutions’ strongest cooperation was with Georgia and Russia in 3 projects each.